I was offered the opportunity to see this movie shortly before it came out worldwide. I didn't think I'd be able to go, but thankfully the calendar opened up and the boys and I were able to attend the preview. The exciting about this viewing was the cast was going to stream live after the show along with 18 other cities who had just watched the movie. How cool is that?! This movie was so powerful! Phiona follows her brother one day, and that changes her life forever! She falls in love with chess. Not only the game does she fall in love with, but where this game can take her, and potentially her family. It blew me away how quickly she figured out how to win. Her Coach was even astonished at how quickly she was able to beat those who were "academically" above her on paper. It's clear she sees this game as a strategy, but also that helps her strategize how to help her family out of the poverty they're living in. 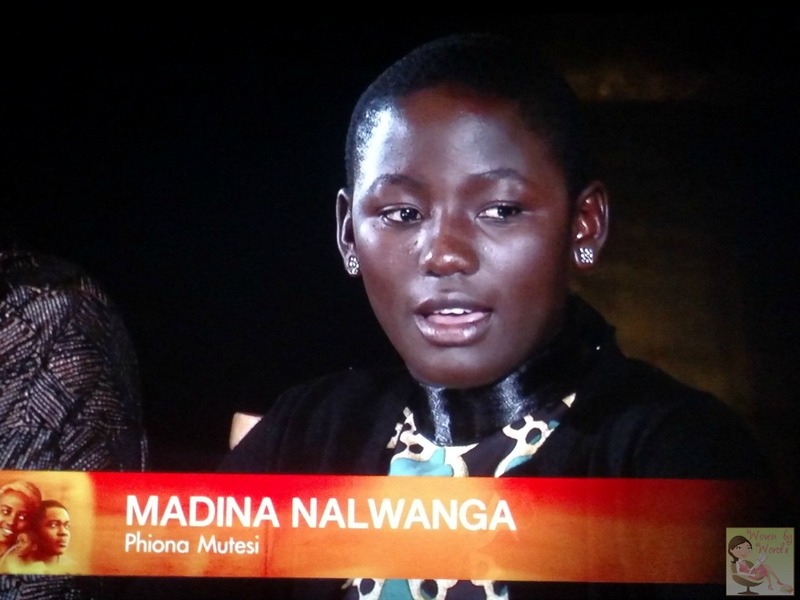 Madina did a stellar job playing this character, and it was the first time she'd acted! Believe it or not, Harriet is such a relatable character! At least mom to mom she was for me! I was a single mom for 8 yrs, but didn't live in the deplorable conditions they did. I would never try to compare that. Just trying to do so much on your own, the concern for your children, comparing yourself to others in your kids lives. There were a couple parts in the movie where I just wanted to hug her and say, "I know mama, I know!" 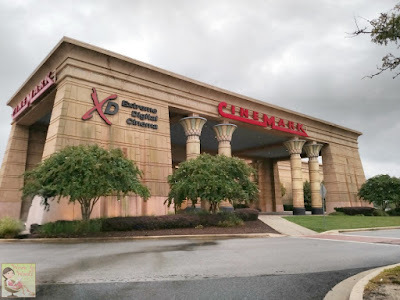 I was so glad I was able to take my boys to the movie! I would never want to hide my boys from the hardships people around the world deal with, but also the inspiration that's woven throughout the movie! They also enjoy playing chess so I thought they'd love the serious competition that comes along with the "game" part of it. 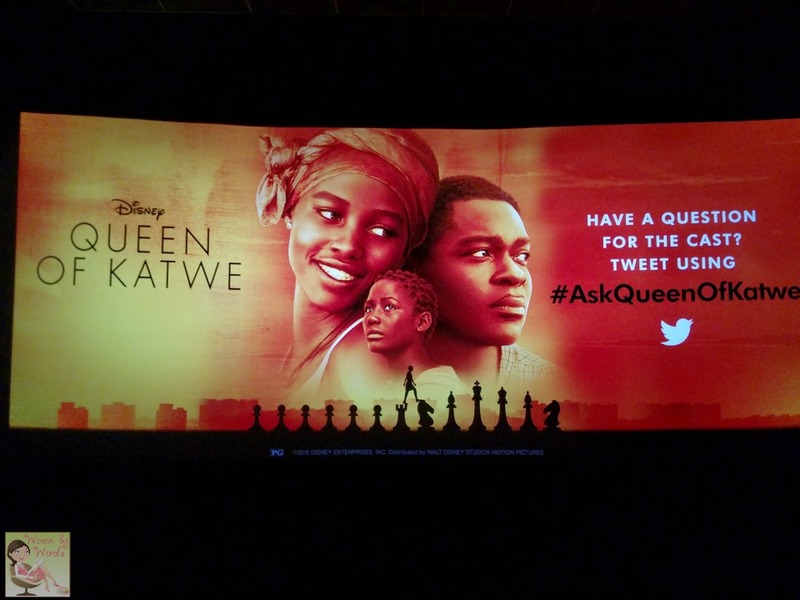 After the movie was over, I was privileged to watch a live stream with the main actors and director Mira Nair. Found out that the director lives part time in Uganda and started a family there! In fact, the crew was 30% from her film school. How cool is that? David Oyelowo was funny with the stories he told. Many of the children had never seen a movie before, including Madina Nalwanga. The first movie they saw? Jurassic World! When they were watching the movie, she asked David, "this is what we're doing?" She was shocked! He said that he had quite the nail marks in his arms from the kids being so scared in the movie. 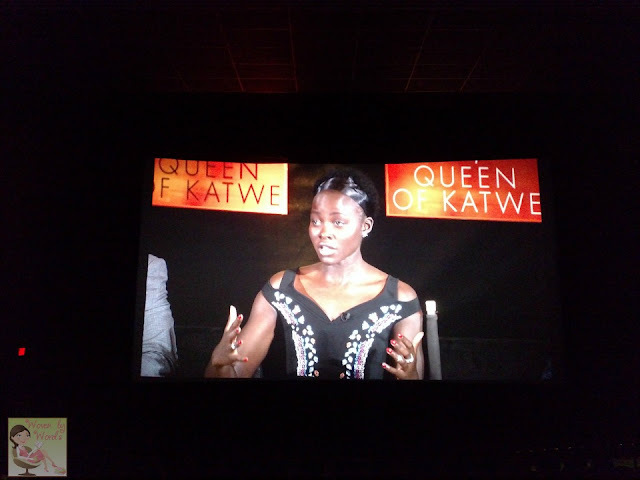 hahahaha Madina said that the second movie she saw was Queen of Katwe being premiered in Toronto. 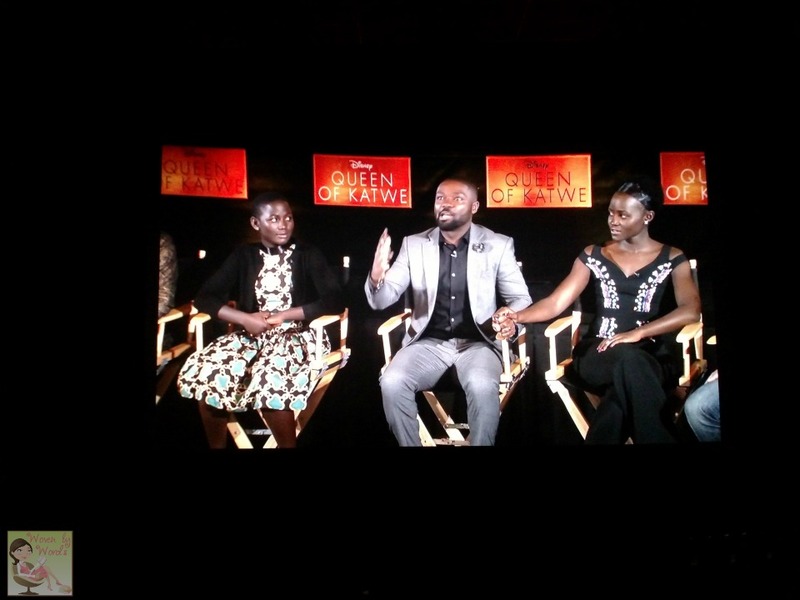 Lupita Nyong'o was so wonderful to listen to. She's amazingly poised and well spoken. I was so fascinated listening to her, I didn't take any notes of what she said. It was clear she loved making this movie and the people she worked with. 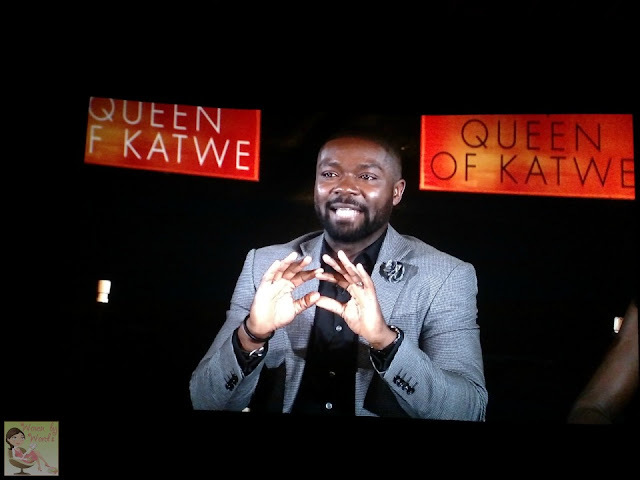 Oh, David joked around about he walk that she adopted playing Phiona's mom. All I can say is, Go. See. This. Movie! You will not be disappointed, and will have your heart lifted up by the great message of hope and perseverance it brings. Have you ever learned how to play chess?